Classical Riding – essentially is working with the horse, not against the horse. It is correct riding incorporating understanding of a horse’s physiology and psychology. There is no place for fear or force. There is no place for gadgets or quick fixes. The seat is essential. It needs to be well balanced, deep and feeling. Horses are ridden from the seat first followed by the legs then lastly the hand. The rider leads the horse’s movements, he does not follow the horse. The rider first must possess self-carriage and then guide the horse into it. Aids must not only be correctly executed, but must occur at just the right moment. Competitive Dressage and Classical Dressage have drifted apart and the knowledge of the Masters and their approach to training should be rekindled. First Coast Classical Dressage aims at resurrecting their theories and approach and bring the two discipline’s closer together. First Coast Classical Dressage believes the more riders educate themselves on the classical methods developed by the Masters, the more their journey progressing through the training pyramid takes prescient over their goal destination. A greater bond is formed with their equine partner(s) as they learn how to guide them through the steps leading to an elegant dance. He was the first to recognize training through kindness, not force. western civilization is introduced to the concept of a training system for the horse that deals with the nature of the horse's mind and the mechanics of his body motion. 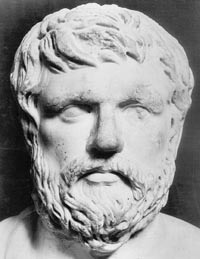 Xenophon also explained the correct position and seat of the rider. It is still the position which is used today regardless of the riding discipline. plus numerous other non-horse related publications. His writings form the basis of modern day Classical Dressage. 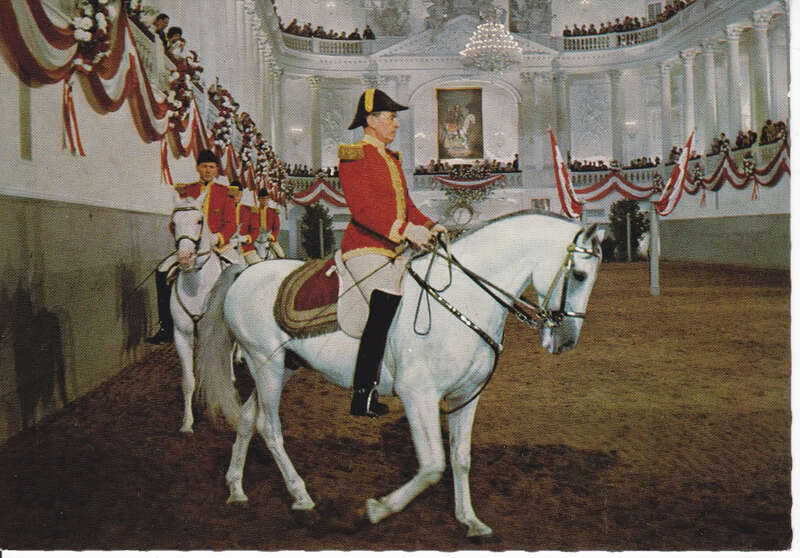 · Saved the Lipizzaner bloodline during World War II by evacuating both stallions and mares from threat of bombardment and secured their protection by the United States Military to prevent them from becoming horse meat. 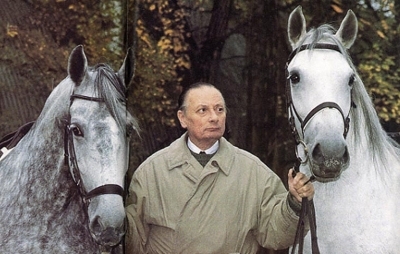 · Podhajsky is remembered most for saving the Lipizzaner mares. 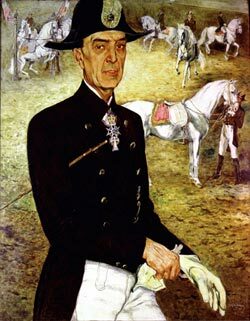 He was an acquaintance of Patton since both had participated in equestrian events (Patton in the 1912 Olympics) and alerted him to the presence of the Lipizzaner mares behind Soviet Lines. Patton ordered a dramatic rescue by elements of the 2nd Cavalry Regiment which conducted a raid and evacuated the horses. · A movie about the incident was made into a move by Walt Disney – Miracle of the White Stallions. · Riding lessons continue at his riding institution today and are open to the public in Karlsruhe, Germany. Brutality begins where skill ends." 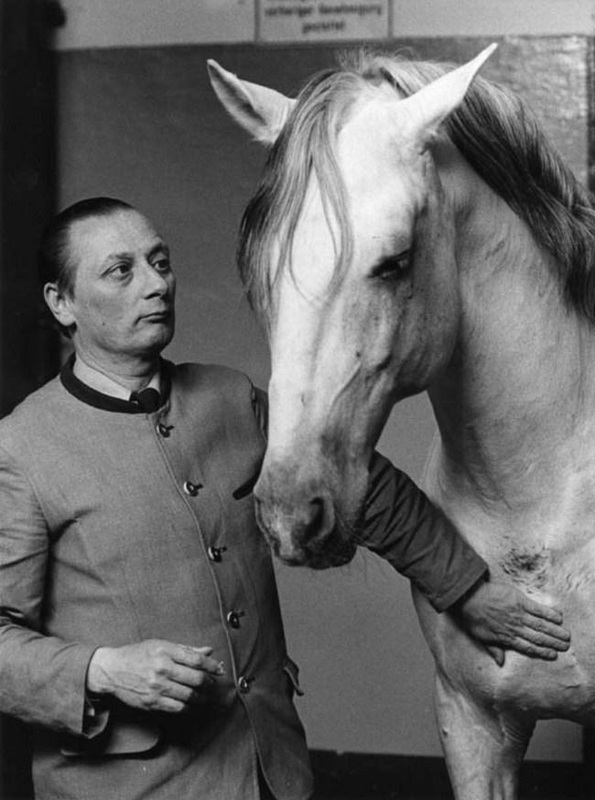 ​The Philosophy of LégèretéIn 2004, Philippe Karl founded the Ecole de Légèreté (the School of Lightness) in order to pass on his philosophy and methods to committed and qualified riding teachers. The School runs training courses around the world through which already experienced riding teachers may gain the highly respected licence authorising them to teach the way of Légèreté in the name of Philippe Karl. As this training concept is legally protected by patent against plagiarism, distortions or arbitrary, unauthorized use, no one may refer to the Ecole de Légèreté or the teaching of Philippe Karl without having received the corresponding licence. The founding principle of the Ecole de Légèreté is the absolute respect of the horse. In this concept, Légèreté (lightness) is not a declaration of intent of a poetic or esoteric nature, but a philosophy bringing together clear, effective and measurable equestrian concepts. 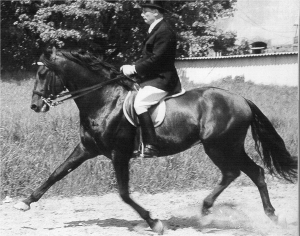 L'Ecole de Légèreté takes its inspiration from the masters who have contributed to this equestrian philosophy: Xenophon, Fiaschi, La Broue, Pluvinel, La Guérinière, Dupaty de Clam, Hünersdorf, Freiherr von Sind, Baucher, Raabe, L’Hotte, Faverot de Kerbrech, Beudant, Oliveira etc. It is based on in-depth knowledge of the horse and is ready to re-analyse and improve itself with all types of progress in this respect (anatomy, physiology, locomotion, balance, psychology, ethology). 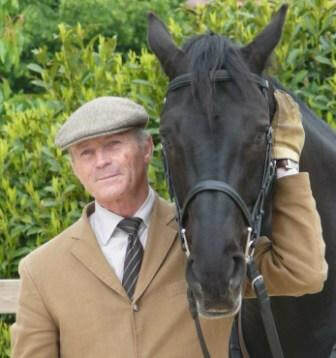 · he ran his own stablesand competed regularly in eventing and show jumping. 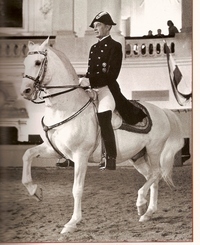 · General Pierre Durand appointed him as a member of the French national riding school, l'Ecole Nationale d´Equitation, in Saumur where he became an écuyer of the prestigious Cadre Noir. · He left l'Ecole Nationale d´Equitation to devote himself to the clinics he was giving in France, Germany, Italy, Switzerland and the United States. Since 2004, he has been especially dedicated to the training of riding instructors within his Ecole de Légèreté.